The President of the Foundation, Mary Robinson, gave the opening address at the Connecting Local to Global: Women, Climate Change and Conservation meeting in New York on September 19, 2011. President of the Foundation, Mary Robinson, gave the opening address at the Connecting Local to Global: Women, Climate Change and Conservation meeting in New York on September 19, 2011. 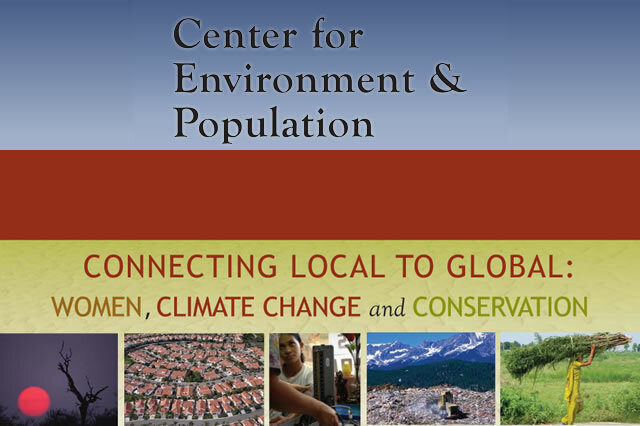 The meeting, organised by the Center for Environment and Population (CEP), discussed innovative women-centred approaches to conservation, climate change and development through on-the-ground grassroots networks. The event, which highlighted the personal narratives of leading global south grassroots activists, was timed to help frame the discussions at the UN General Assembly and the Clinton Global Initiative.